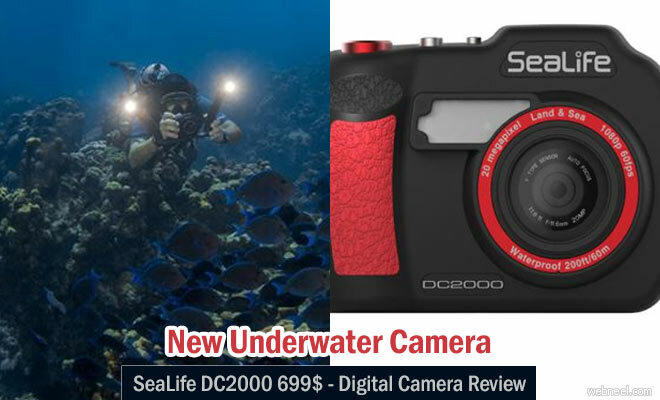 SeaLife is launching a new flagship compact camera specially designed for underwater photographers—the DC2000. Like the DC1400, the new model comes complete with an underwater housing that’s depth-rated to 200 feet (60 meters), and the small inner camera, which is itself waterproof to 60 feet, can be removed for taking images on land. The DC2000 has a 0.1-second shutter speed, to never miss a moment of any action. To add to this, the DC2000 can now shoot images in RAW format. Shooting in RAW gives you more control when editing your images. The camera is built around the latest image/video capture technology—a Sony 1-inch back-illuminated 20-megapixel CMOS sensor—and boasts a host of pro-level features, including Full HD 1080p 60fps video recording, RAW still capture, manual aperture control (f/1.8–f/11), optical image stabilization, and high-speed autofocus with a minimum focusing distance of just four inches. Images can be downloaded via USB or wirelessly via Bluetooth or Wi-Fi. The DC2000 features four underwater modes and three built-in digital color-correction filters, which allow shooters to capture accurate color at various depths. The camera can be easily expanded via SeaLife’s Flex-Connect arm system in combination with their Sea Dragon Flash and the company’s wide range of video lights.